My duty as a citizen is to give back to my country something of what I have learned. Javier Solana is one of Spanish democracy’s most important political figures, both because of his national standing and his key role in the development of international relations for over three decades. He has been one of the top officials at two supranational organizations of fundamental global importance: NATO and the EU. Pro-European and a champion of multilateralism, he is considered a man of consensus and a skillful negotiator. Solana drew up the EU’s first strategic security doctrine and gave substantial input to the European Security and Defense Policy. Since 2009 Solana has been a regular speaker at important institutions and think tanks such as the Council on Foreign Relations, the Foreign Policy Association and the East West Institute (EWI). 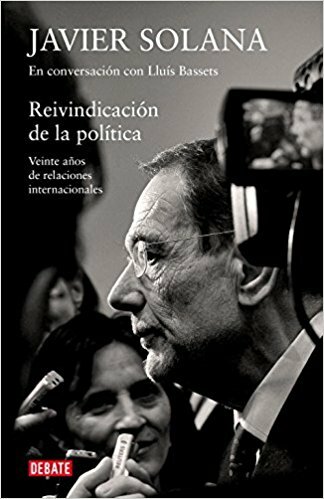 Solana began his career as a public administrator in Spain and held the posts of Minister of Foreign Affairs, Minister of Education and Minister of Culture, as well as government spokesperson. In the international arena, he has been Secretary General of NATO, EU High Representative for Foreign Affairs and Security Policy and Commander in Chief of EUFOR. Solana’s term at NATO coincided with a crucial stage in the western defense organization’s history. Nowadays he continues his work focusing on the preparation of the Spanish Security Strategy and is President and Rafik Hariri professor at Esade’s Center for Global Economy and Geopolitics. He is also a Distinguished Senior Fellow of the Brookings Institute and President of the Aspen Institute in Spain. Javier Solana has received some important awards such as the Grand Cross of the Order of Charles III, the Grand Cross of the Order of Isabel the Catholic, as well as the distinction of Knight of the Order of the Golden Fleece and of the Order of St. Michael and St. George (of the United Kingdom). He has also received the Grand Cross of the Order of Merit (of the Federal Republic of Germany), the Statesman of the Year Award, conceded in that same year by EWI in New York and the prestigious Charlemagne Prize. “He is an extraordinary consensus-builder who works behind the scenes with leaders on both sides of the Atlantic to ensure that NATO is united when it counts." Alexander Vershbow, US ambassador to NATO. “Who do I call if I want to call Europe?” Asked Kissinger once. Javier Solana was that person for 10 years.